Last week my mom told me that she regrets not taking better care of her skin. You guys…wrinkles are inevitable. Our elasticity and collagen production deteriorates with age. It’s a phase of life. But that’s OK because our face is like a map of our experiences, the people we’ve met, the knowledge we’ve gained and memories we’ve created. I like to believe that wrinkles are sign that we’ve lived!! And then if you’re extra boujee (like me) there are now a slew of anti-aging devices on the market to temporarily help reverse the effects of aging. 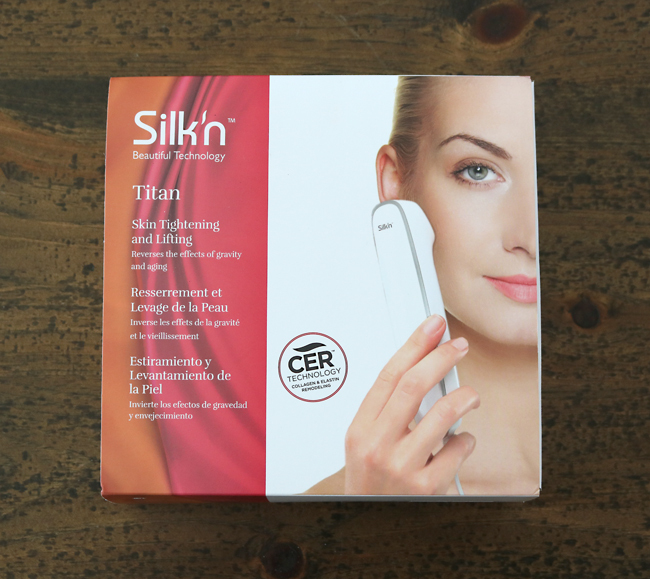 The Silk’n Titan Skin Tightening and Lifting device has been a favourite of mine for a few months now. It uses a unique harmonized energy consisting of Bi-Polar RF energy, LED light energy and IR heat energy. 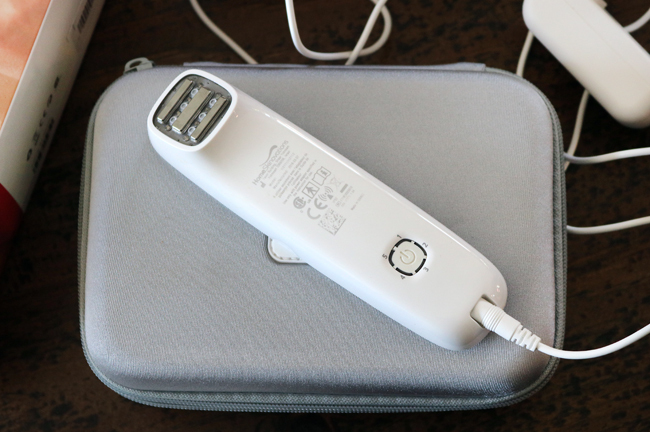 The device activates the body’s natural cell renewal and restoration process. 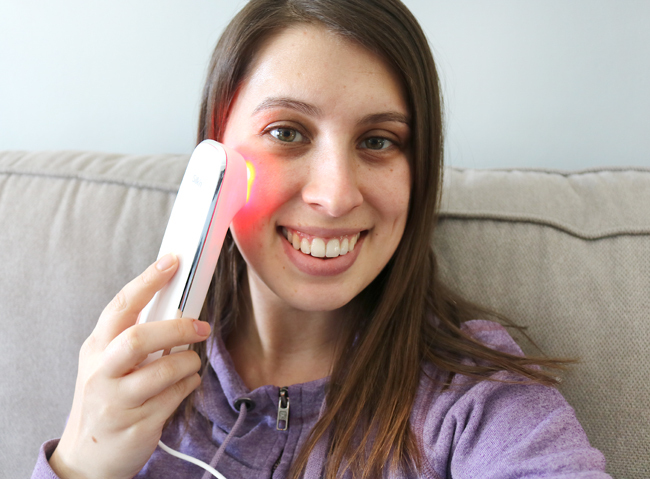 Infrared heat increases blood circulation, the red light frequency goes deeper into the skin to stimulate collagen and the radio frequency penetrates the skin deeper to tighten elasticity and strengthen collagen. The technologies together help the skin look lifted, smooth, radiant and younger. It’s meant to be used with the Silk’n Slider Gel – a water-based gel that helps the device glide across the skin. It feels really lightweight and leaves the skin looking fresh, plump and super hydrated. There are five different levels. It’s important to start at level 1 to slowly introduce heat to the skin. The higher levels are warmer and the setting basically comes down to personal preference. If level 5 is way too hot, then level 3 is fine. I quite enjoy the heat myself!! It can turn my skin a little red but it’s not painful. It actually feels quite nice! 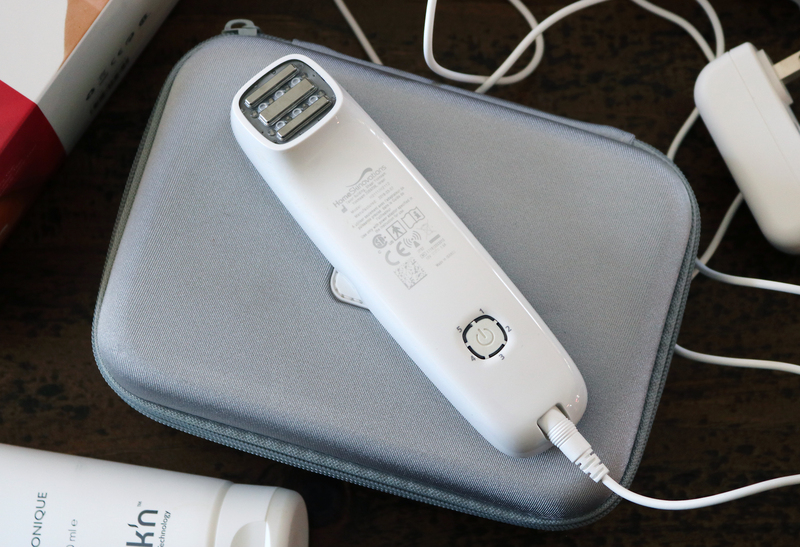 I like to focus on different areas of my face, smoothing the device back and forth gently on my cheeks, forehead, chin and neck for 5-10 minutes each. You’re supposed to use it twice a week for 10 weeks and then once a week after that. 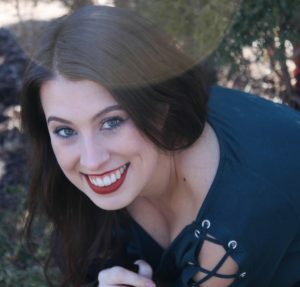 I’m not good with sticking to a schedule and instead just use it every now and then when I want a serious pamper session or have a special event coming up that I want to look extra glow-y for. I don’t notice a huge difference in the appearance of my “wrinkles” (that will probably come with regular use of the device) but I do notice a huge difference in the tone and radiance of my skin after each use. I’ve even received compliments that my skin looks so nice after I’ve use the Silk’n Titan Skin Tightening and Lifting device. The only downside to this product is that it has to be plugged in to use. It’s something I would use more often if I could sit on the couch and watch TV while using it. Instead, I have to be near an outlet (and being in front of a mirror doesn’t hurt either). It’s also quite expensive at $299 CAD, but as I mentioned before, it’s definitely a boujee product, and to someone truly invested in their skin, it’s worth it. Disclaimer: The product mentioned in this post was gifted to me as a PR product. However, all thoughts and opinions are 100% my own and honest.